Lovely transparent snuff bottle with inlay red color. This Snuff bottle is made of glass with on the outside has two lions which are depicted with elegant swirls. They seem to be crawling up the bottle. They have been applicated on the glass snuff bottle. The swirls can even been found on the bottom of the bottle. The lid has a light orange color. 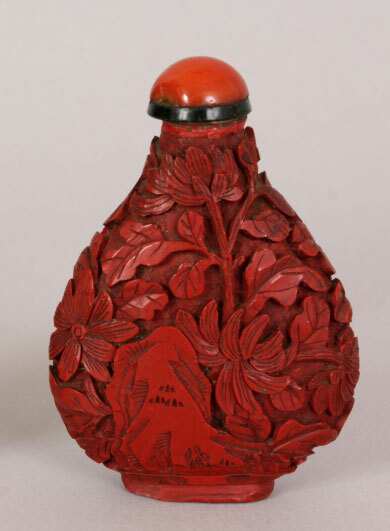 This is a very nice snuff bottle inlay red color. The lid has a light orange color.